Nest to Keep: Finish it already! We have a two car garage, although in truth, it would be a darn tight squeeze to fit both of our vehicles into that space...On one side of the garage, my husband parks his car in the winter. On the other side we have our kid's "outdoor stuff" bins and their bikes...and "my" furniture and little odds and ends. You know, the things you rescue from a thrift store or buy at a garage sale to fix up, that never quite get fixed up...please tell me someone out there knows what I'm talking about! So I promised my husband that I would not start on the wide plank flooring for our kitchen and dining room until I cleared out that space. SO, because a deal is a deal, and I'm not one to break a promise, I am going to start working on this. Then I thought about the rooms in our home that are so close to being finished (at least for now) but just need that little last couple of things done. Things like curtains or one last paint coat on the moulding, etc. So I'm starting (and am going to finish!) a new weekly blog post. 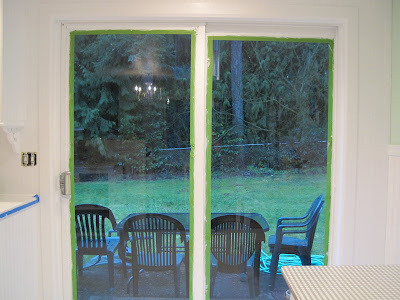 Every week I will show you what I am going to work on, and then I am going to show you the "after" on "Finish It Friday!" One thing at a time, I am going to tie up all these loose ends and organize this life! 2.) I am finally pulling out those old shutters and finishing them! Good luck with getting finished for friday. 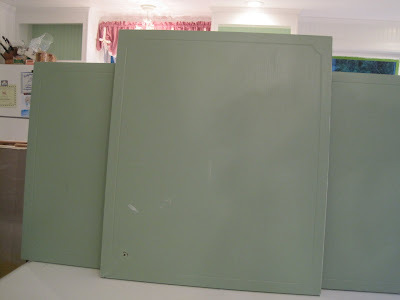 Those chalk board doors are going to look great. I think it's great. 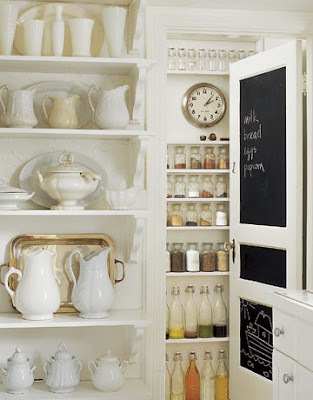 Make sure you put lots of coats of the chalkboard paint on though... The more the better. I just took a break from organizing my bedroom-So much work but one room at a time... We'll get there! you are right, the green color does perk up any room! wow, its another year and you are still renovating... when will it even end? it would be lovely to just sit in a corner while you sip your favorite drink and just drown in the beauty of your creation. 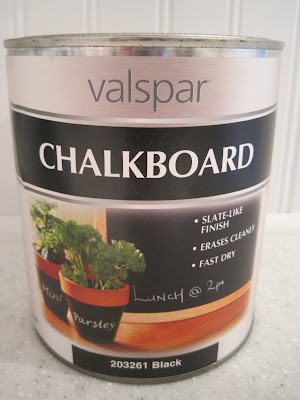 Well you know how much I love chalkboard paint so of course I can't wait to see pictures! You amaze me out how much you can accomplish in a week...it takes all my energy just to make breakfast, lunch and dinner. Can't wait to see what all you finish!